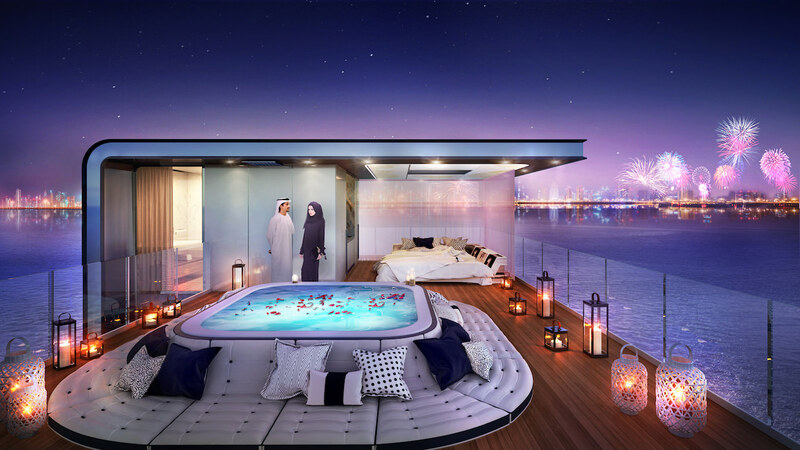 Signature Floating Seahorse are built to mix European countries’ culture with United Arab Emirates in luxurious houses inspired by Emiratis lifestyle. 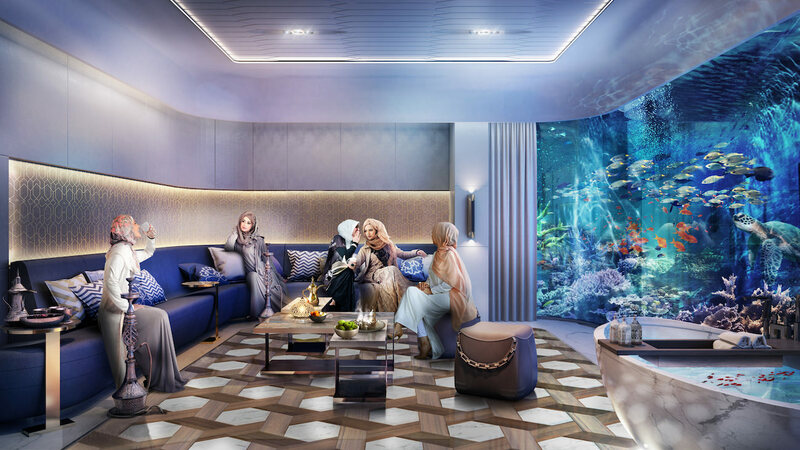 Imagined for big families, group of friends and other groups of people, Signature Floating Seahorse offers a unique European experience, melt with Emirates culture: contemporary style, luxury and versatility. 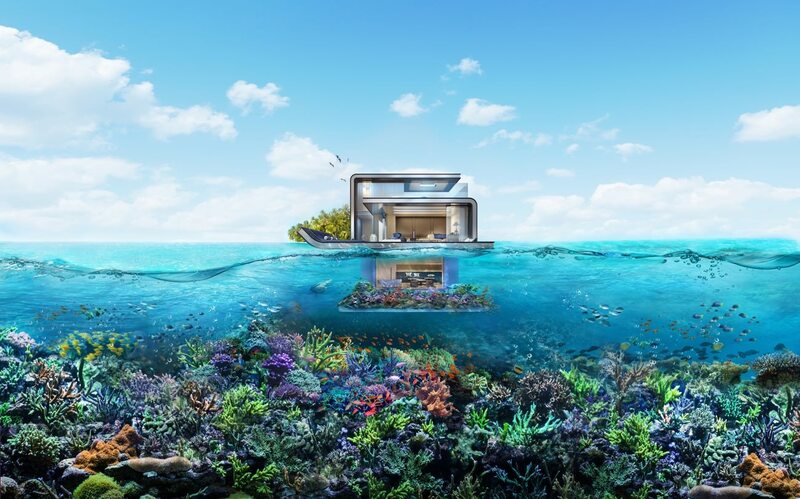 Signature Floating Seahorse represents a total of 371sq.m of bespoke spaces, split on three levels above and underwater that has all necessary innovations and smart home automation. 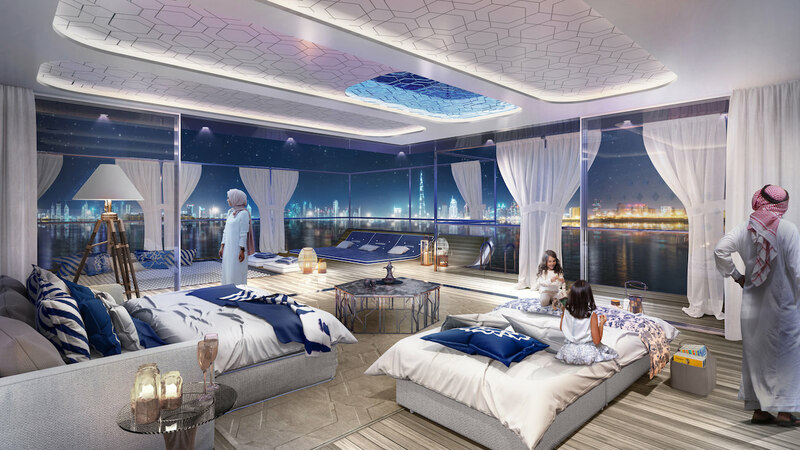 Signature Floating Seahorse have rooms called Sky Majlis and Sky Bedroom at the upper level, where you can see the stars as their name indicates. At sea level you will find Sea Family Room, a friendly space for all the family and the Sea bedroom. 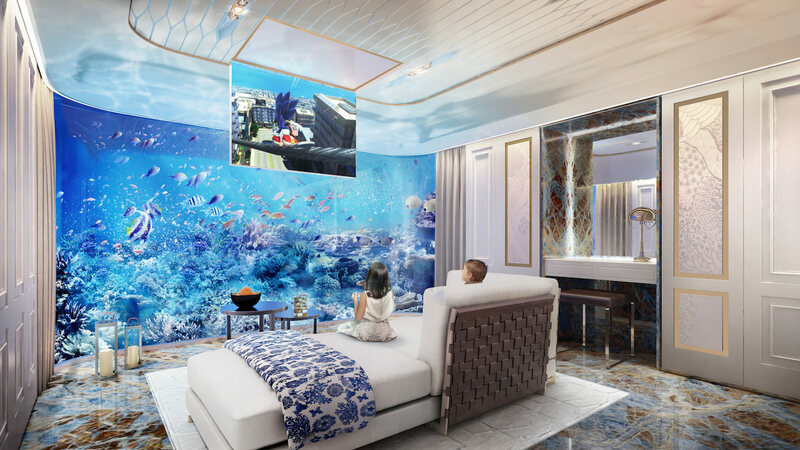 Then at the lower level totally immersed under water you can find Underwater Ladies Room, Master Suite and also Coral entertainment room and Coral guest bedroom. At day or night, each room can be useful, once used to serve various purposes or to accommodate more sleeping facilities. 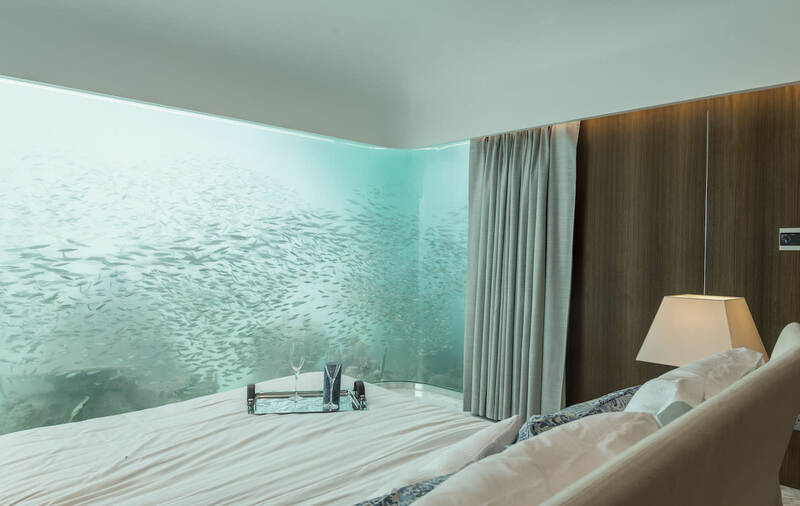 Naturally, what seduce the most in Signature Floating Seahorse, are the fully immersed room, like en-suite bathroom that offers a stunning view of artificial and protected coral bay. There you can find a total of 80sq.m underwater and 56sq.m of coral garden. 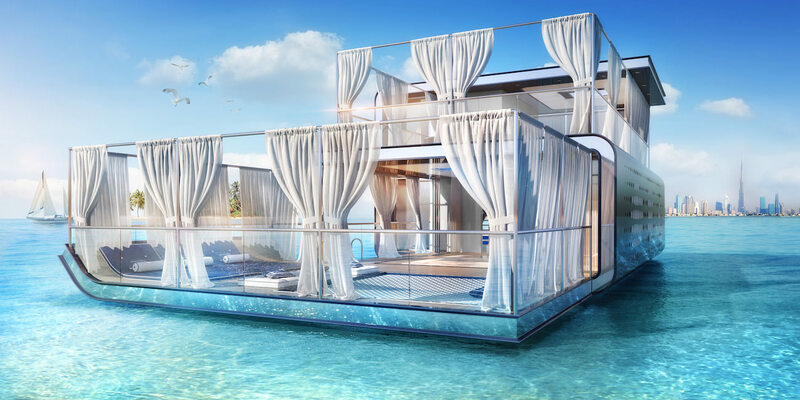 Then Signature Floating Seahorse is fully customisable depending on owners wishes, from floors to kitchen without forgetting bathrooms. Each style, furnishes or design element can be arranged depending on your tastes in each of 40 Signature Floating Seahorse. 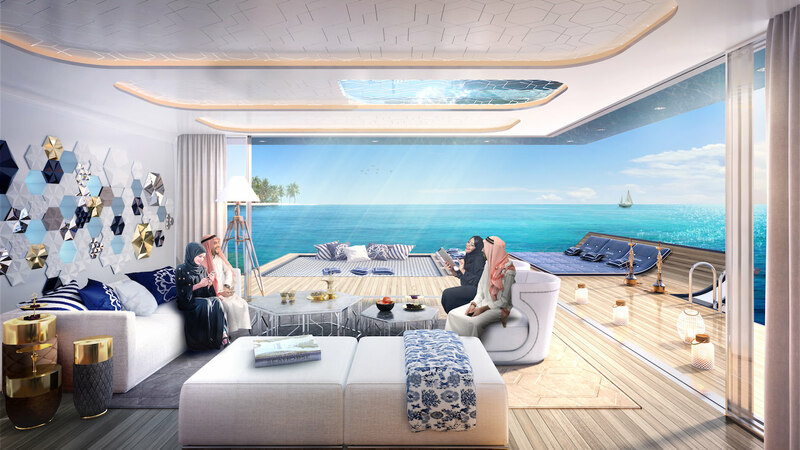 If the project’s first step will be achieved in October 2016, each order of Signature Floating Seahorse costs 2.925.038 euros (12 millions AED). 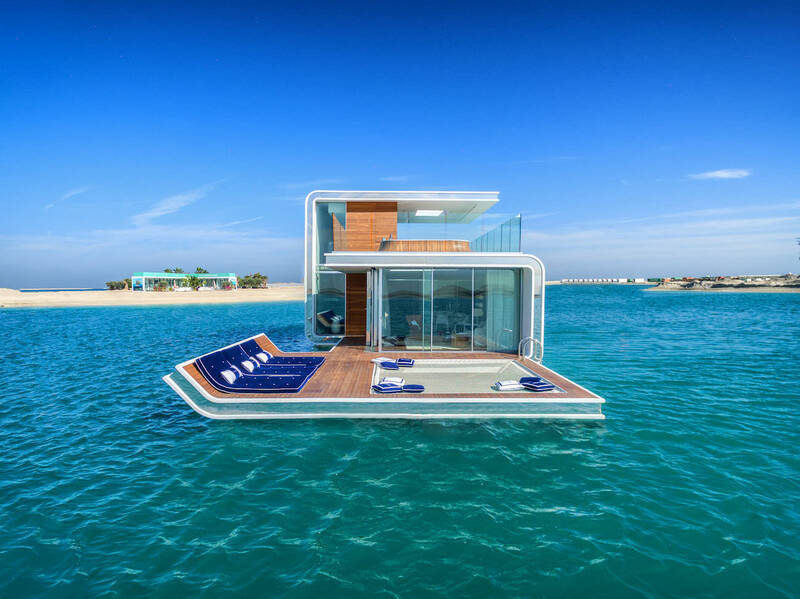 Share the post "Floating houses are coming in Dubai and are specially called Signature Edition Floating Seahorse"